Do You Have A Speeding Ticket in Fresno? If so, the best solution for fighting speeding tickets is to retain a local, experienced traffic lawyer to defend the speeding charges against you. Do You Have A Speeding Ticket in Fresno? If so, the best solution to fight speeding tickets is to retain a local, experienced traffic lawyer to defend the speeding charges against you. The most common traffic citation for drivers is for exceeding the speed limit. Speeding is very common in the State of California and particularly in Fresno County. 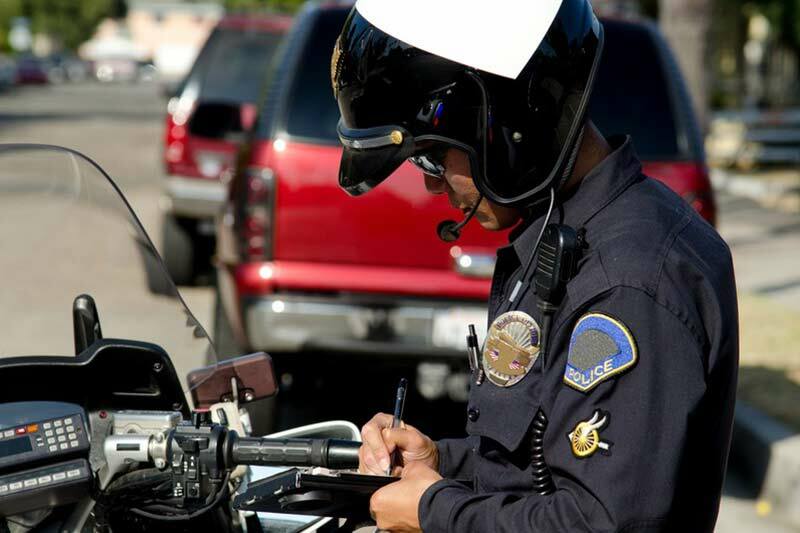 There are numerous California Highway Patrol(CHP), Fresno Police Officers, and Fresno Sheriff Officers that regularly handout speeding tickets to anyone traveling in and around Fresno. There are numerous speeding violations, ranging from infractions to misdemeanors. Each speeding charge can hold one to two points on your driving record. Depending on the traffic violation, you could lose your license, pay hefty fines, face increased insurance rates, and may even lose your job if you receive points on your driving record, especially if you are a commercial truck driver. To prove that you are speeding, a police officer may employ a number of instruments, including radar, laser, or pace clocks to estimate your speed. If the officer determines that you are speeding, based on the tools at the officer’s disposal, you will be given a speeding ticket. When accused of speeding, it is important to fight the traffic ticket because a speeding ticket will leave drivers with unwanted pointed and an increased insurance rates for years to come. If you receive too many speeding violations, the DMV will suspend your license, which can result in misdemeanor charges against you. By speaking to an experienced and dedicated traffic lawyer before you plead guilty to any speeding ticket, you can determine what your options are and the best way to defend against the speeding charges. Speed traps are used by cities and counties to generate income. When a speed trap is present, many unsuspecting motorists will be issued a speeding ticket. Because many do not know they can fight the charges, they will simply pay the ticket and suffer the high fines and insurance hikes. This benefits the city or county because they obtain revenue without the driver even knowing the speeding driver was illegally stopped. Unfortunately, most drivers do not know what a speed trap is or how to defend against it when they are accused of speeding. This is based on the misconception that a speed trap occurs when an officer is hiding from the driver’s view. In California, it is perfectly legal for an officer to hide from public and catch a driver speeding. California does, however, have speed trap laws in place so that officers cannot trap drivers into speeding tickets. The speed trap law is complicated, but generally a speed trap can occur in a few different situations. First, a speed trap is present when officers measure the time it takes from one point in the road to another in order to determine if the vehicle is speeding. If the officer times the driver and reaches the conclusion that the driver was speeding because it took less time to reach the targeted area, then a speed trap has occurred. Second, a speed trap may arise when an engineering and traffic survey has not been conducted within five years prior to the date of the alleged speeding violation. This is rarely seen today since most local governments employ officials to conduct surveys, but in smaller towns and cities where funding is not available, the city or county may fail to do the necessary survey in order to save money. Third, when an engineering and traffic survey has been completed, but the survey does not justify the posted speed, a speed trap will take place. For example, if the majority of drivers travel 45 mph in a 35 mph zone, and the engineering and traffic survey validates the driving, then this would be considered a speed trap. Sometimes, it can be difficult to know if the area is a speed trap because other factors can result in a lower speed zone, such as road conditions, pedestrian traffic, alleys, and children crossing even when the road is not in a school zone. But when there is no justification for the speed reduction, drivers that are traveling in excess to the posted speed limit should not be charged with speeding and may be able to successfully argue a speed trap violation. If you are stopped for speeding, make sure to callan affordable traffic attorney as soon as possible. By employing an experienced traffic lawyer, familiar with the speeding laws and the courts in Fresno, you can make sure your rights are protected. You may even save money because you may not be required to pay costly fines, face increased insurance premiums, or lose your livelihood because of a speeding conviction. If you are currently facing a speeding ticket, we will correctly advise you when it comes to fighting your traffic matter. In most cases, we appear in court for you, without your attendance being required. Contact us today for a free consultation to discuss your speeding ticket and see what we can do to get the charges against you reduced or dismissed.